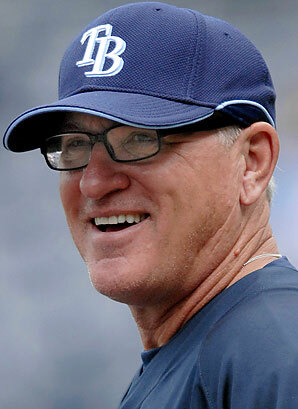 Joe Maddon has a career Record of 704 – 644 (.522), but is 552 – 421 (.567) over the last 6 years from 2008 – 2013. He runs his offenses like the Angels used to, with a NL style built on speed and contact. He may be the best AL Skipper when it comes to utilizing players versatility and matchups. Maddon is also great at working in Rookie players. The Tampa Rays have been the model franchise in the AL for the last 6 years. Of course the St. Louis Cardinals club would be the team of the National League. Besides the New York Yankees, the Tampa Bay Rays have won more games in the last 6 years. The teams record is 552 -421 during this time span, including 4 playoff spots and 1 AL Pennant. The key to the teams continuous consistency is their Minor League System. From 9 years of drafting high from 1998 – 2007, to then making smart trades, the Rays have have been able to sustain their club by using the farm. The Rays had a horrible string of seasons from 1998 – 2007 in terms of Won – Loss Record. Because of their futile showings, they were able to draft high. Since 2008, they have posted a winning record every season since, have made the playoffs 3 times, and have turned over the Roster several times. They are competitive, cost effective and play in the vaunted AL East with powerhouse teams like the Yankees and Red Sox. The brass of the organization has done a commendable job.